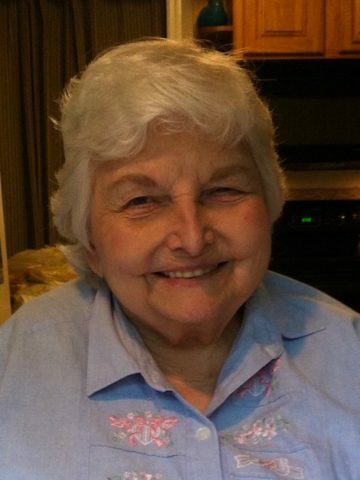 Ann M. Deathridge, 91, of Goodlettsville, passed away Sunday, June 24, 2018 at her home. Born November 6, 1926 in Nashville, she was the daughter of the late Oscar and Marie (Aarantz) Baur. Ann was also preceded in death by her husband, Owen S. Deathridge. Ann retired from and Vol State where she had worked as a bookkeeper. She was a great cook and seamstress, who also spent many hours devoted to charity work and causes. She was a member of Our Lady of the Lake Catholic Church and was proud of being devout in her faith. She is survived by her sons; Scott (Teresa) Deathridge, Dennis (Beverlee) Deathridge, Mark (Renee) Deathridge; daughters, Mary Ann and Pamela; a brother, Charles “Bro” Baur; 8 grandchildren and 5 great-grandchildren. A memorial Mass will be celebrated Wednesday, June 27, 2018 at 1 PM at Our Lady of the Lake Church. The family will receive friends at church beginning at noon. Burial will be at the Nashville National Veteran’s Cemetery at a later date.